A SWAT team was called Monday afternoon to deal with armed robbery suspects who were possibly barricaded in a commercial building in Tarzana, but no one was found inside when officers made entry nearly seven hours later. The robbery was reported about 1:35 p.m. in the 18300 block of Ventura Boulevard, near Reseda Boulevard, according to the Los Angeles Police Department. Reports from the scene indicated the robbery occurred at a business where marijuana is sold. One man was taken into custody outside the building, which has several business tenants, but he was released after questioning, police said. 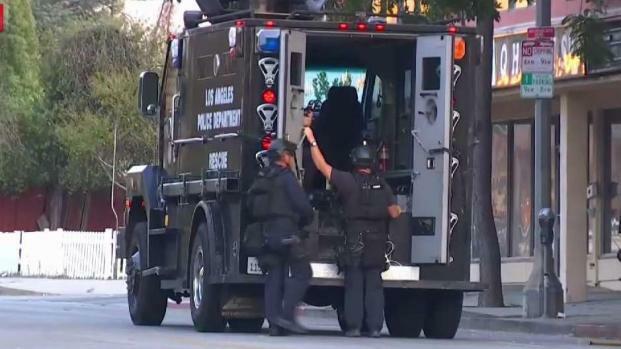 Officers evacuated the building and a SWAT team was called in, according to Officer Mike Lopez of the Los Angeles Police Department's Media Relations Section. SWAT responded to an armed robbery at illegally marijuana dispensary in Tarzana. Patrick Healy reports for NBC4 News Los Angeles, at 6 p.m. on Monday, Oct. 22, 2018. 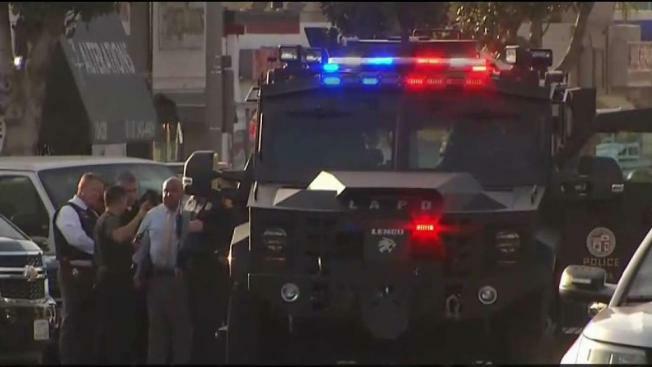 A male suspect was believed to be holed up inside the building, possibly along with a female who was either a hostage or a suspect, police said. Two other male suspects were outstanding and thought to possibly be inside the building as well, but when the SWAT team made entry about 8:20 p.m., no one was found inside the building, Lopez said. Police ultimately said that four suspects, all male, were outstanding. The stretch of Ventura Boulevard near the building was closed during the investigation.